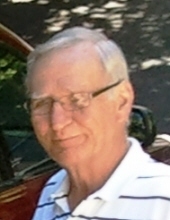 Jim W. Cole, 73, passed away Saturday, November 10, 2018 at his home in Choctaw, Oklahoma. Jim was born February 26, 1945 to Lester L. Cole & Josie Mae Hopkins Cole of Guthrie, Ok. Jim leaves behind a loving wife, Letha M. (Vinita) Cole; daughter, Theresa Cole-Lovins and husband Darren of Hickory, NC; son, Jimmy A. Cole of Moore, OK; step-son, Matt E. Wyskup and wife Nicki of Casper, WY; step-daughter, Denyse Wyskup and husband Phillip Evans of Casper, WY; grandchildren, Tiffany L. Kilgore and husband Dan Kilgore of Preston, NC, Specialist E-4 Ryan Abts, 82 Airborne Ft. Bragg, NC, Braxton A. Cole of Moore, OK, Alyssa Wyskup, Lauren Wyskup, Connor Wyskup of Casper, WY, Kai Wyskup of Choctaw, OK; great grandchildren, Elizabeth and Chelsea Kilgore of Preston, NC; and sister, Idabelle Cole Bowden and husband David Bowden of Adairsville, GA. Jim was preceded in death by his parents Lester and Josie Mae Cole, brothers, Lester “Bud” Cole Jr., Arno Lee Cole and Johnny Chambers. A memorial service to celebrate Jim’s life will be held 2:00 PM, Friday, November 16, 2018 Barnes Friederich Funeral Home Chapel. To send flowers or a remembrance gift to the family of Jim Cole, please visit our Tribute Store. "Email Address" would like to share the life celebration of Jim Cole. Click on the "link" to go to share a favorite memory or leave a condolence message for the family.